The tenth anniversary of the death of Sir Edmund Hillary this week was a propitious moment to think again about the legacy of this great man. 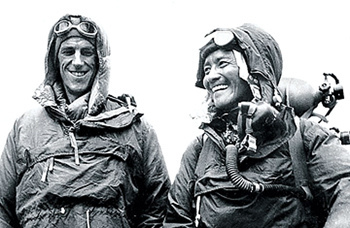 There are other anniversaries: 65 years after the first ascent of Mt Everest in 2018, and the centennial of Hillary’s birth next year. Hillary’s sense of gratitude and responsibility made him want to return the favour to Nepal, with what became a remarkably ambitious and successful range of projects. His model of development emphasised the human dimension, integrating communities and ecosystems in lifting living standards in the mountains. This broader focus made development projects more likely to succeed and cheaper to implement because it invests ownership and responsibility in the communities. Hillary did not regard himself as an explorer or a humanitarian professional. He was bee-keeper, and he was an adventurer. Hillary was not just a practitioner of adventure, he also advocated for it as a necessary exercise of the human spirit. By adventure he understood an effort to reach a set goal, which might involve a great deal of drudgery or even boring downtime, but would employ all one’s skills and character to the utmost, and still risk failure. What he realised as he undertook his first development project in the Khumbu eight years after climbing Mt Everest, was that building a school or reforesting a hillside could be the same kind of effort. Recreational adventure became a stepping stone to philanthropic adventure. Directly or indirectly, Hillary’s example has led hundreds of trekkers, mountaineers, and other adventurers to undertake a huge diversity of assistance adventures that have greatly benefited Nepal’s people and helped sustain its ecosystems. New Zealand is making plans for its own Hillary Centennial year. We should remind the world that Hillary chose to make Nepal the primary focus of his lifelong adventures. This is a final opportunity to capitalise on an asset of unparalleled power to stir the imagination. Let’s seize it. Director of Mountain Legacy’s Sir Edmund Hillary Mountain Legacy Medal Project. Well said Seth. Ed Hillary was the Patron of the first successful Irish expedition to climb Mount Everest in May 1993. The leader was Dawson Stelfox, who is Patron of Irish Nepalese Educational Trust (INET), a charity born out of that expedition. Today, several schools and community buildings are up and running, together with a few more in the pipeline. Along with this small scale support, INET encourages environmental and health education. There is no doubt that Ed Hillary was the spark that set this alight, along with the enthusiasm of the Irish climbers and their Nepalese friends who travelled with them. Of course, none of these things are possible without the generosity of the friendly and hard working Nepalese themselves.